Continue on to see the feature set press release from 2K Sports as well as a more detailed developer blog. Additionally, stay tuned for the new 2KDev Spotlight Series, starting next Thursday, July 13 on wwe.2k.com, which will provide additional information and a behind-the-scenes look at what goes into making a WWE 2K game. It’s finally time for us to start sharing our plans for WWE 2K18 with everyone! Similar to recent years, we won’t be providing full details today, but we are ready to share some insight into several of the exciting new features and improvements we are making for WWE 2K18. As our development progresses this summer and into the fall, there will be more to share as we approach the game’s release in October. 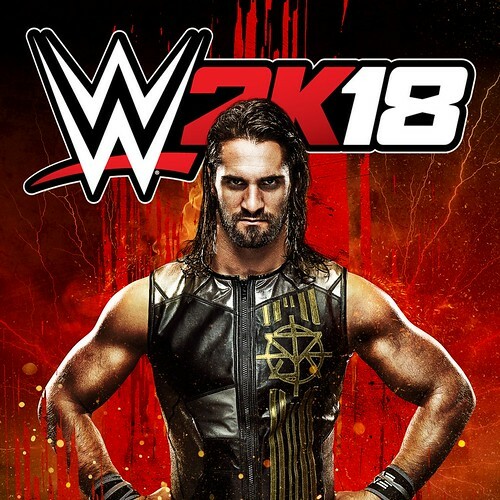 In addition, our team is excited to announce the 2KDev Spotlight Series, starting next Thursday, July 13 on wwe.2k.com, that will provide ongoing information updates and a behind-the-scenes look at what goes into making a WWE 2K game. The WWE 2K franchise has enabled users to “Be Like No One” through its amazing Creation Suite for a long time, and this year is no different. The Creation Suite gets even deeper with improvements to Create-a-Superstar, Create-an-Arena and Create-a-Video. The Highlight Replay System now enables users to save game replays to make into future videos and adds a free-roaming camera for further creative and editing control. In addition, we are also bringing creativity to matches with a new Create-a-Match feature. This addition lets players create a custom set of rules for a match, save them and use them in either Play Now or WWE Universe. WWE 2K18 also delivers a new MyPLAYER experience that introduces fighting styles and a brand new upgrade and progression system. Players can choose from eight fighting styles to help define their MyPLAYER experience. Each fighting style comes with its strengths and weaknesses, so the choice of style matters. No one style can be a master of all! Are you going to be a High Flyer, a Brawler or maybe a Technician? The choice is yours. With a compelling new MyPLAYER system, we also wanted something unique and different for your MyPLAYER to do in WWE 2K18. Thus, a brand new MyCAREER experience awaits, incorporating a new story and a free-roaming backstage area that allow your MyPLAYER to interact with other WWE Superstars and help direct the narrative. Did you take offense to someone? Are you going to go it alone? Are you going to align with the General Managers or are you going to let your in-ring prowess speak for itself? The new MyPLAYER experience provides many choices in for how players experience their unfolding stories. Finally, WWE 2K18 is delivering an all-new Road to Glory Mode that lets players compete against others, using their MyPLAYER characters, in a quest to qualify for WWE pay-per-view events. There is a lot more to share about the new Road to Glory Mode in the coming months, but we are really excited to see everyone bring their MyPLAYER creations to this new level of competition. WWE 2K18 will be the most realistic WWE game to date in the franchise. This year, we developed an entirely new graphics engine that delivers spectacular new lighting, more realistic skin and new camera effects. The WWE Superstars, crowds and arenas have never looked better. Since words don’t do visuals justice, we are excited to show you how amazing WWE 2K18 looks in the near future. Along with the great visuals, WWE 2K18 introduces a new commentary team. With the trio of Michael Cole, Byron Saxton and Corey Graves at the commentary table, a WWE 2K game has never sounded better. We also greatly improved crowd sounds, including the addition of authentic crowd chants, to bring the entire WWE experience to life. In short, WWE 2K18 has never been closer to what our fans see every week on WWE television and at live events. WWE 2K18 continues improving and refining the simulation gameplay experience that sits at the core of the franchise. For WWE 2K18, we are bringing new mayhem and carnage in the form of eight-person matches, including Ladder matches, the Royal Rumble, Eight-Person Tags and even a Battle Royal. Players can now experience the chaos of eight WWE Superstars all vying for the same goal! Speaking of Royal Rumble matches, we also revamped these by implementing new elimination mechanics, a quick elimination system, new match-specific finishers and new elimination sequences. With eight WWE Superstars in the ring, combined with the new mechanics, the Royal Rumble is better than ever. WWE 2K18 also sees the addition of a new carry system, which we’ll share more details on in the future, as well as thousands of new animations. These are just a few of the changes we made with the gameplay for WWE 2K18 as we develop the most complete WWE simulation experience. WWE Universe Mode sees changes in WWE 2K18, including a new story system that provides more flexibility in how stories play out. The interactions between WWE Superstars build up to rivalries and determine what stories will unfold. The new story system also supports very diverse pay-per-view calendars, meaning it manages WWE’s current pay-per-view schedule alongside player-created custom pay-per-view calendars. In addition, there are new story cut scenes, new Power Rankings and even a new Superstar goal feature to be announced in the future. For WWE 2K18, we are working hard to improve the online experience in several ways. For example, we are reworking the search system for Community Creations to ensure everyone is able to find the best amazing content created and made available by the community. Additional improvements will be announced later this year. All of these feature additions and improvements are only made better by the largest roster in WWE gaming history. We are excited to share the roster for this year’s game soon, but for now, our recent announcement of WWE Hall of Famer and current Raw General Manager, Kurt Angle, as the game’s pre-order bonus is a sign of the good things to come with the roster. WWE 2K18 is shaping up to deliver a complete and visually impressive WWE experience that we know everyone will enjoy. Stay tuned for more information in the near future, and be sure to check out the new WWE 2KDev Spotlight Series starting next Thursday, July 13, on wwe.2k.com.